View More In Baking & Cookie Sheets. Set of 6 large cookie sheets. 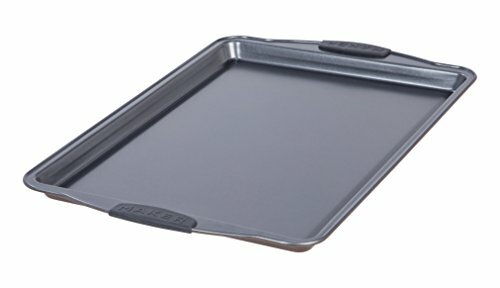 The bonded aluminized steel, heavy-gauge construction means this cookie sheet offers rust-proof performance, maximum durability and even heat distribution. Great for baking, roasting and more. The double-layer ceramic coating provides easy cleanup and excellent food release. Pans come with a unique two tone finish. This versatile pan is perfect for cookies, jelly rolls and more. The bakeware is oven safe to 450 DegreeF. The cookie sheet is dishwasher-friendly, but handwashing is recommended. If you have any questions about this product by MAKER Homeware, contact us by completing and submitting the form below. If you are looking for a specif part number, please include it with your message.